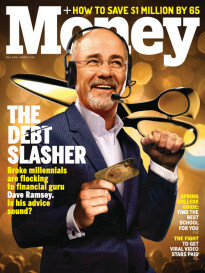 Sorry, Millennials: Despite your best efforts to be prudent savers and big banks’ attempts to reel you in, financial markets have other ideas for your retirement plans. 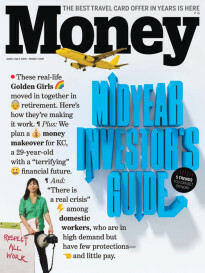 The next 20 years are bad news bears for investors, especially young adults who are just starting to craft their retirement savings plans, says a new report from the McKinsey Global Institute. A 30-year-old today may have a retirement savings vehicle like a 401k or an IRA, thinking that’ll sufficiently grow over the next 30-plus years to sustain their retirement. The truth is, it won’t, says McKinsey. The research finds that U.S. equities will yield average inflation-adjusted returns of 4-5%, compared to nearly 8% in the last 30 years. In fixed income markets, returns will fall 400 basis points, reaching no more than 1%—if that. That wonky bunch of numbers carries tangible consequences for the average Joe and his portfolio: It’ll mean saving more for retirement, delaying retirement age, and reducing consumption during retirement. “To make up for a 200 basis point difference in average returns, for instance, a 30-year-old would have to work seven years longer or almost double his saving rate” in order to retire with the same nest egg, says the study. The report outlines the economic and corporate horizon and finds that, over the next two decades, both equity and fixed income returns will be much lower than investors have grown accustomed to in the last 30 years. While the study didn’t examine returns on real estate or alternative investments, that would hardly have changed the bottom line, says Susan Lund, one of the report’s co-authors. In fact, the worse-case model’s projections—which suggest that the next 20 years of investing will be worse than the last century altogether—are so dismal that Lund says those who are starting to build a nest egg for retirement may want to reevaluate their saving strategy altogether. News of a “retirement crisis” is hardly, well, news. Aside from problems with Social Security, American saving habits have plateaued, with most people indicating they’ve saved less than $25,000 for retirement, according to the Employee Benefit Research Institute. The EBRI also finds that the vast majority of workers have yet to take the most basic retirement planning steps. The takeaway from all this dour news? Retirement planning requires an aggressive approach. While plenty of people DIY their retirement savings, it helps to have a financial planner if you’re not sure how to get started. Of course, you may be on the hook for some fees, but thanks to new aims at holding planners to the fiduciary standard—that is, putting your best interests first—you may be better off in the long-run. Ryan Fuchs, CFP at Ifrah Financial Services in Little Rock, Arkansas, says that while people may be scared by findings that they’ll have to work even longer than they can imagine, there are steps investors can take now to lessen their workload. “The best way to approach this is to underestimate your returns. If your retirement portfolio budgets for 6% returns and you end up with 8% in returns, you’ll be fine,” Fuchs says.